Rashid Khan is set to make his Sussex Sharks debut on Wednesday night, with Jason Gillespie naming a 13-man squad for the Vitality Blast opener against Essex Eagles. The world's best T20 bowler will arrive at The 1st Central County Ground on Tuesday, before linking up with his new teammates ahead of the highly-anticipated trip to Chelmsford. 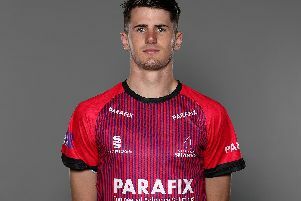 Khan's fellow overseas star, Tom Bruce is also in line to make his Blast debut, but Stiaan van Zyl is still unavailable as a result of the knee injury that ruled him out of the Royal London One-Day Cup campaign. Opposition..:The Eagles head into Wednesday's match hoping to improve on their performance in last season's T20 campaign, which saw them come 8th in the South Group. Their excellent form in the Championship was not replicated in the shorter format, but this year, overseas players Adam Zampa (Australia), Neil Wagner (New Zealand) and Peter Siddle (Australia) will supply some extra firepower. Varun Chopra is also a huge threat, with only Colin Ingram and Riki Wessels hitting more sixes than Chopra's 26 in last year's competition, so the likes of Khan and Jofra Archer will be determined to halt his impact. Last time the sides met..: The last time the two sides met, Sussex Sharks swept the Eagles aside in Hove, beating their visitors by 55 runs as they fought for a place in the quarter-finals in their final game of the 2017 campaign. The emphatic win wasn't quite enough, as the Sharks fell just short of a place in the knockout stages, but after setting the Eagles 175 to win, with Laurie Evans scoring a thrilling 37, the bowling attack clattered through their opponents. Danny Briggs took 2-12, David Wiese 2-16, Chris Jordan 2-8 and Will Beer 3-36 as the Essex Eagles imploded in disastrous fashion, with Jofra Archer sealing the victory by dismissing Simon Harmer with more than four overs remaining.